Established in 2013, the Valrico Fishhawk Chamber of Commerce is one of the premiere business organizations in Eastern Hillsborough County. The Valrico Fishhawk Chamber of commerce is made up of roughly 250 members representing businesses of all sizes. From work at home solo-preneurs to corporations with many employees, we welcome all businesses. We have members who have just started their business and members who have been in business for many years. The Valrico Fishhawk Chamber of Commerce advances its membership business agenda through advocacy, leadership, education, charitable giving and networking opportunities. Why would I need to join the Chamber? It’s a known fact that people do business with those they know, like, and trust. Now, more than ever, building relationships is crucial to sustaining and growing your business. The Chamber provides weekly opportunities for you to meet new people, network, and grow your referral network. Whether it’s at a Monday Breakfast, a Wednesday Power Hour, or the Chamber has plenty of opportunities that will fit your schedule. If you are interested in finding out more about joining the Chamber, please contact us here. The Chamber is committed to providing a variety of venues to assist its members in developing trusted business relationships, growing leaders through education, integrity, excellence, diversity, and cooperation. To serve our business community as the preeminent catalyst for growth and improvement to home-based, store-front, and virtual businesses based in our area. To give the residents in our community a recognized and persuasive voice to aid in enhancing and maintaining the quality of life in the Valrico and Fishhawk communities as expressed by those residents in our area. To work together as a community of businesses (profit and non-profit) and residents whose goal is to serve as the stewards of positive future growth while maintaining the great traditions and personality unique to the Valrico-Fishhawk area with 100% participation from every member in our community. To promote, advocate, connect, and educate our members, work in partnership with counties, economic development groups, political constituents, educators, and other interested entities and organizations on our community’s behalf, by fostering harmony and perceived mutual benefit of participation between all groups. 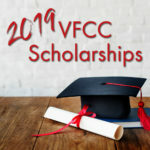 To have membership in the VF Chamber of Commerce be viewed as the number one investment in continued success and enhancement of both a healthy business climate and family friendly place to live. We look forward to learning about you and your business. Come take part in this unique opportunity to grow your business and protect the future development plans of the Valrico / FishHawk residential and business community. If you live or conduct business in this area and have an interest in participating, please register below to receive emails and further communication regarding future meetings. 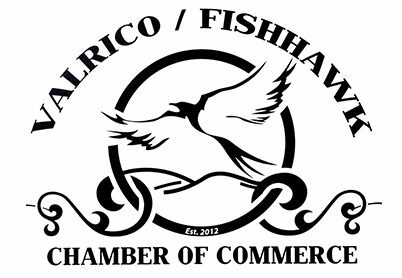 Member registration is now taking place for membership in the newly established Chamber of Commerce for the Valrico / Fishhawk business community, developed to service the Valrico, Bloomingdale, and FishHawk areas. This is an opportunity to participate in a new formal business association representing this unique area and your interests. Our area faces constant pressure to change its landscape by outside developers and County Government. Many of the past proposed changes regarding zoning and roadway improvements do not coincide with the future the local residents and business owners in these areas envision. This is an opportunity for our local businesses and residents to organize a united voice. The Valrico / FishHawk Chamber promotes opportunities for local businesses to increase sales and awareness of their establishments. It will do so by organized events to draw in foot traffic and a network of shared customers. It will provide opportunities for businesses to share best practices through workshops to increase and streamline sales while maintaining customer service within your business. If you would also like to serve on the Ambassador Board, please feel free to reach out for more info on how to serve.